A hybrid plant is a cross between two or more unrelated inbred plants. Hybridization has brought huge improvements, including more vigorous plants, improved disease resistance, earlier maturity, more uniform growth and increased yield. Seed saved from the first cross-pollination of two unrelated open-pollinated plants is called F1 hybrid seed. (F1 stands for Familial 1.) Each of the parents contributes attributes that, when combined, produce an improved type of plant. A frequent characteristic of F1 hybrids is much-increased vigor. This can take the form of faster growth to maturity, larger root and top growth and increased productivity. The gains from what is called heterosis greatly exceed the sum of what the parent plants might be expected to produce. Despite recent advances in the understanding of plant genetics, there is still no agreement among scientists about what causes heterosis. Like other living things, plants are vulnerable to a range of diseases that can cause disappointment in a home garden and huge financial losses in agriculture. One trait that is constantly sought in plant hybridization is resistance--or at least tolerance--of diseases that can affect productivity. In seed catalogs, resistance is noted in an abbreviation after the plant variety name. 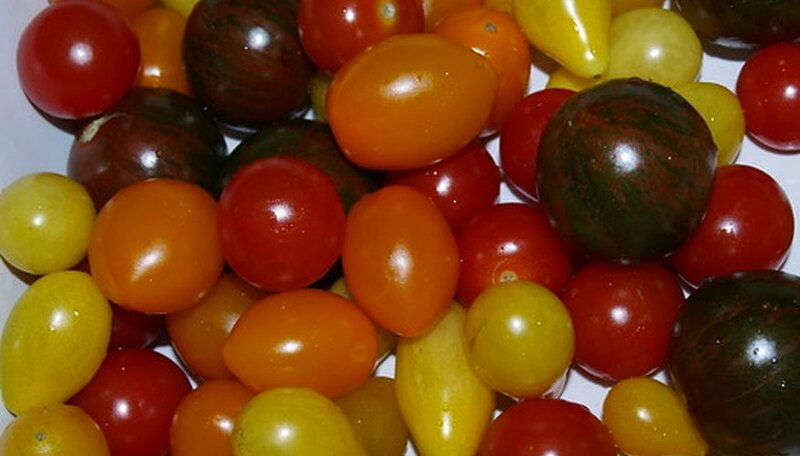 For example, “Arbason F1 Hybrid, FW (races 0, 1), VW, TMV” means that this tomato has resistance to fusarium wilt races 0 and 1, verticillium wilt and tomato mosaic virus. While the taste and appearance of open-pollinated and heirloom plants is highly valued, the size and growth rate of fruit and leafy parts can vary widely. Hybridization can stabilize growth factors, so the grower can harvest much more uniform produce. In agriculture, the ability to produce a crop early in the season has considerable marketing advantages. The first corn, the first tomatoes, the first strawberries always command higher prices. Hybrids can be created to achieve this, as well as higher yield, although it is often true that this extra-early produce does not have the full taste of later varieties. The seed of open-pollinated or heirloom plants can be saved, and when sown will produce plants that are essentially identical to the parent plant. The seed from F1 hybrid plants, called F2 hybrids, will not produce a copy of the parent. Instead, the F2 plant will exhibit “break-up” in the form of random characteristics from either parent or possibly an even earlier trait. What this means is that F1 hybrid seed has to be created from scratch every year by laboriously hand-crossing the parent plants. This helps to explain why hybrid seed can be so expensive. Peter Garnham has been a garden writer since 1989. Garnham is a Master Gardener and a Contributing Editor for "Horticulture" magazine. He speaks at conferences on vegetable, herb, and fruit growing, soil science, grafting, propagation, seeds, and composting. Garnham runs a 42-acre community farm on Long Island, NY. Why Does Music Make Plants Grow Taller?